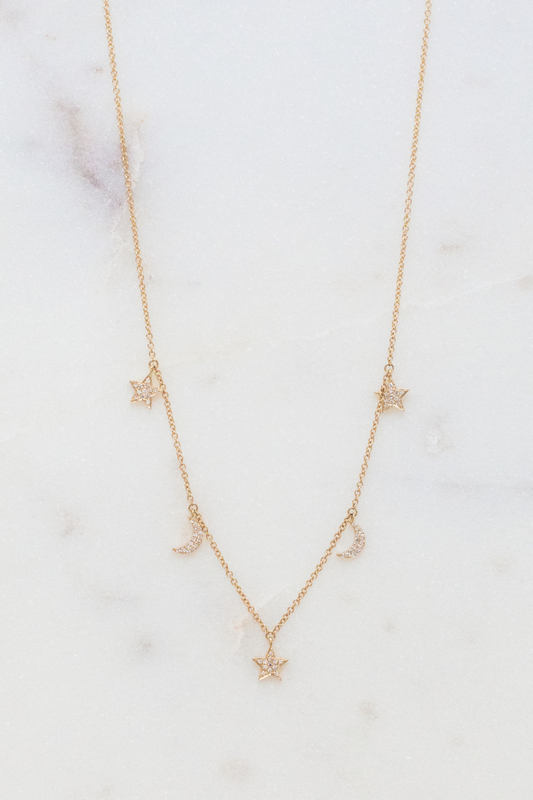 14 Karat Rose or Yellow Gold Moons and Stars Necklace. 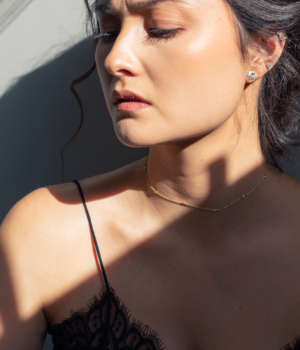 The necklace has five pavé set diamond moons (two) and stars (three) hanging from a chain. Chain Length max 46cm, with three rings and an adjustable pull to shorten. 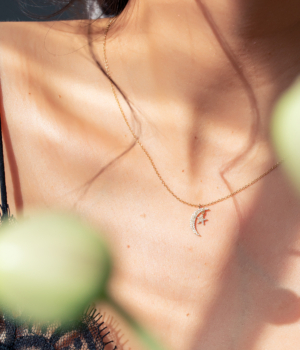 The necklace includes two crescent moons and three stars. 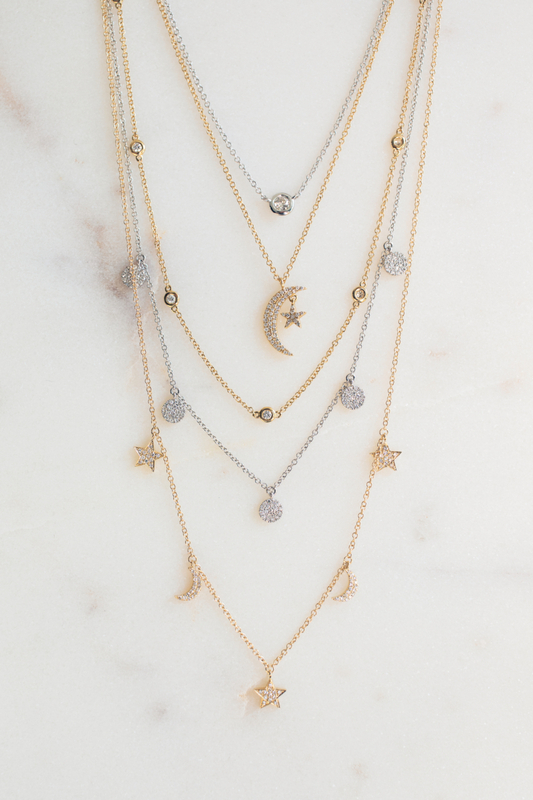 It layers beautifully with the Celestial Pendant and Diamond Drop necklaces.